When I lived in Mumbai India, we had 2 very distinct seasons - Summer and Monsoon. I guess one could add Winter, but it wasn't really Winter - just a bit cooler than the rest of the year. It rained like crazy during the Monsoon and the rest of the year was sunny and dry. The climate here in New Zealand is temperate so we don't have extremes of temperature, but we do have 4 distinct seasons. And it rains pretty much all year round. Right now we are in the midst of Spring. Each season has its own charm and Spring for me is the pretty and colourful season. But this is also the season of pollen and that can be quite annoying for those who suffer from hayfever. Today I thought I would take you on a tour of my Spring Garden. So grab a cuppa and stroll through my garden with me. Hope you enjoyed my vlog and the blooms. I'm loving them and enjoying them as long as they last. Friends come in many shapes and sizes and there are so many best friend stories tucked away in memory, too many to relate. But the best way I thought was to dedicate a song to each friend. So here goes. For V - this is our song "You Got A Friend" by Carole King. We were in standard 10 when V's parents migrated to the US. She gave me a calendar with the words of this song. I still have that calendar in a box somewhere. Even across the miles it's as if there are no miles between us, my very special friend. For R - I chose "When I Need You" by Leo Sayer R and I were in school together and at University. There are so many songs that could be dedicated to her but this is the one I chose in memory of those Uni days when two particular boys ruled our hearts. For N - I chose "Sweet and Innocent" by Donny Osmond because this brings back memories of the young schoolgirls we were with our pigtails. N - still very sweet, perhaps not so innocent (I mean that in a nice way). For A - I chose "I'll Meet You Halfway" by David Cassidy. A was a David Cassidy fan so it's most appropriate to choose a DC number and this is my favourite one. For A2 - Whenever I think of A2 during our teenage years, I remember the songs by Lena Zavaroni, so for A2 I chose "Ma He's Making Eyes At Me". A2 threw the best parties ever and we had so much fun. For S D R and myself - The gang of 4 at Uni - I chose "My Heart Will Go On" by Celine Dion - Still in touch with each other, still as if we were never apart even though S is in London, D in Mumbai, and R and myself in NZ but in different cities. Hope you enjoyed my best friend stories told through songs. I won't be sharing any pictures because I'm not sure they would want their pics splashed across the web. Remembering the good times is what I love about life this week. The memories always make me smile and recalling those moments make me feel like I'm there all over again. I was going to vlog this but unfortunately ran out of time. What's a best friend story that you can never forget - share in the comments below. At #LifeThisWeek we've been asked to share the last thing we bought. Last Saturday I went shopping with my friend. It was an unplanned trip, but we were a little early for lunch so thought we would spend some time at the mall before heading off for a meal. Hope you enjoyed today's vlog. After last week's vlog that was on a serious topic, this week is a little frivolous, but once in a while it's nice to keep it light and fun. What have you bought lately? Share in the comments below. Does it scare you or are you excited about it? I have mixed feelings -somedays it's scary and somedays I look forward to it. Lately, as I get closer to 60, I've been thinking about it a fair bit so grab a cuppa and chat with me about retirement. I hope you enjoyed my vlog and that perhaps if you find the thought of retirement scary, my chat has alleviated some of that anxiety. Share your thoughts on retirement in the comments below. This week I thought I would do a face to face and talk about a topic that you either love or hate - exercising. Then as I started talking, my vlog morphed into something else as well that could fit in with a little manipulation of the prompt at Friday Reflections this week - Disconnected. And all of it fit in really nicely with Denyse's prompt Takjng Stock - although her prompt means something else entirely, I'm taking the liberty of interpreting that as taking stock of life, of circumstances and taking appropriate action. I hope you enjoyed my vlog today and hope the tips made sense. If you have any tips of your own on the topics I chatted about, please share in the comments below. Zentagling in my view is a just a fancy name for doodling which I've loved doing as far back as I can remember. Doodling or Zentangling is quite therapeutic. Probably because it keeps you focussed on the "pattern" you are creating. I'm sure there is a science behind this art and can be learned, but my zentangles are just random and follow no techniques. But I do need a better pen. This weekend I picked up my pen again and startd on a new drawing. I hope to keep this up through September (practicing) as this year I would like to take part in Inktober which is a daily art challenge held in October. So grab a cuppa and join me in my zentangling journey. Have you tried zentangling? What do you think about it and which one did you like the best? Share your thoughts in the comments below. btw this is my 700th post! Last week primary and secondary school teachers went on strike in NZ for more pay. Are they justified or not? Who am I to say? But I do know that there are some teachers who are truly dedicated to their profession. These are the teachers under whose tutelage students thrive. I have seen this first hand with my children and grateful for these teachers who made learning a pleasure for them. And then there are others who have somehow managed to demotivate and demoralise my children. Today's vlog is on the teacher's strike. So grab a cuppa and join me as we watch the teachers march. What do you think, are teachers undervalued? Share your thoughts in the comments below. I missed a vlog last week as the film didn't turn out good and it got too dark to film again. But it was a good topic that Denyse had as a prompt - countries I have visited - and maybe one of these days, I will vlog on that again. Today however, I will keep the vlog simple and talk about movement. It's a rare day when you can see the windmills so clearly and that triggered the topic for today's vlog. It is said that the flutter of a butterfly's wings can cause a tsunami halfway across the world. All movement creates and shifts energy. So grab a cuppa and enjoy the windmills and other movements of nature. This morning as I was going to work I observed that the closer I got to the city, my energy shifted. The hills and trees give off a different energy which is why I always feel refreshed and rejuvenated in nature. But the effect of concrete really did feel like stagnant and heavy energy. Have you observed the shifts in energy from countryside to city? Share your thoughts in the comments below. Hope you enjoyed today's video and the message it gave. This week I thought I would truly chat with you face to face. I've been wanting to do this for a while now but didn't feel the need to and frankly didn't have the courage to. But today the need arose as I haven't finished editing my other videos. So without thinking too much, I got stuck into it. Whenever I hear If I could, 2 songs come to mind: Cher's If I Could Turn Back Time and the Simon and Garfunkel's El Condor Pasa (If I Could). So grab a cuppa and join me on a chat about turning back time. Today's vlog wasn't easy and I had so many bloopers along the way - brain fades, bad lighting etc. I almost gave up but the option of not posting anything was enough of a catalyst to keep trying. Anyway, I hope you enjoyed chatting with me. Today's vlog was prepared for #LifeThisWeek Denyse, I hope I pronounced your name correctly. If not, my sincere apologies. What would you do if you could turn back time? Share in the comments below and have an awesome week. 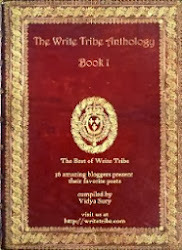 (I will add the links as and when the linkups are posted). Have you travelled down the same road countless times and then one day you suddenly see that route with different eyes? Last week I did some filiming on a route to Wellington, a route I take for granted and hardly pay attention to. And until I played back the footage, I didn't realise how scenic this drive is. And it was a good test of the image stabiliser on my iphone. Verdict, not bad but could've been better. Anyway, grab a cuppa and let's go driving. Watch this in full screen for best effects. Keeping the writing short today. Hope you liked my video. I was a chubby, timid and shy child. At school I was quiet and academic and I was teased a lot. In some ways it undermined my confidence. It takes a lot for me to take that first step into new waters. Probably at the back of my mind is the fear of being ridiculed. So when I decided to start vlogging it wasn't an overnight thing. It took months for me to take that leap of faith. But now that I've done it, I'm truly enjoying it. Courage is the ability to take a step without worrying about the outcome. So for those who are interested in vlogging, but are afraid to take the first step, just do it. And now grab a cuppa and join me today on a glimpse of a little sand and surf. Sadly we didn't see Matariki the whale but there are a lot of youtube videos that you can check out. Matariki put up a spectacular show for those lucky enough to see him - displaying all whale character traits. Matariki got his name from the Maori New Year (Matariki) as his arrival coincided with that. My friend and I went out on two different days but didn't get to see him. I guess we were not meant to. But I hope he will return or send his friends into the beautiful waters of Wellington. I hope you enjoyed today's video. I will post some more scenic footage in the next few weeks. Until then, have an awesome week. Some years ago, inspired by YouTube art journals, I decided to start art journaling. But the journey started in December of 2015 when I walked into a bookshop and found a set of 3 mini journals that were so cute, I had to buy them. I had no idea what I would use them for but they were just too cute to resist. One of these became my art journal. Unfortunately I had to use still photos because the film came up with a weird shimmer that was quite hurtful to the eyes. I tried many times but couldn't make it go away. Might be the type of paper in the journal. But regardless, I hope you enjoyed today's vlog. Let me know in a comment, which page you liked the best. I have a lot of fun with my art journaling. Art and crafts in general always make me feel happy. I have to add music, how could I not. Well that makes it 11 but does it matter? One of the things we should constantly do is take stock of our beliefs, our desires, our needs as these are ever changing. I am forever evaluating or taking stock of my understanding of perfection. Perhaps the competitive schooldays set a path for always attaining a level that inevitably is just too hard to achieve. In trying to reach that level of perfection, you unfortunately set yourself up for failure. And in trying to reach that bar, you more often than not, forget to enjoy the journey, the learning. My obsession with perfection ended when I started my "tryst" with arts and crafts. So grab a cuppa and join me on the creation of Morsel Mashup 5 and what art has taught me. What beliefs have you recently taken stock of? Share in the comments. I've been neglecting my art work so I thought I should pick that up again. 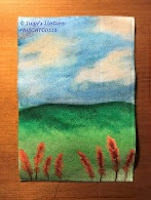 I am trying to follow the Morsel Mashups which is a mixed media challenge hosted by Cat Hand on her youtube channel. This post was written for the #LifeThisWeek prompt Taking Stock hosted by Denyse Whelan. Some weeks are stressful. No matter how well you organise and plan, things come along to derail them. Last week was a stressful week. And by Friday I was starting to feel a little flustered. There seemed to be issue after issue piling up with no solution in sight. There was a time in the morning when I was feeling so overwhelmed that my brain was running in many directions. I just could not focus. Then suddenly a distraction ... The New Zealand Navy helicopter circling the harbour. And that was just what I needed to break that scattered, panicky, heavy feeling. This week also had some other nice surprises. But for that you'll need to view my vlog. So grab a cuppa and join me on a little helicopter distraction. Btw a helicopter ride is on my "things to do" list. Someday Somewhere! Hope you enjoyed today's vlog. What nice surprises did you get this week? Share in the comments below. I thought a lot about this and tried to link it to my vlog today. Today's vlog took a long time to edit. I had to experiment a lot with the filming, editing footage and the order of things, transitions, audio, captions, narrations etc. Through filming I learned that you can't get everything right the first time. The parts that got missed or were badly filmed had to be redone. Then the weather changed a lot during the day so not all filming had the same amount of light and I had to make many adjustments. Life is like that. Often we have to redo things and in redoing we face other challenges. Editing the footage and the order of things taught me that often we have to drop a lot so we can be effective. Less is often more or enough. And sometimes we have to backtrack in order to reset our path. Adjusting the audio was a little tricky. I had comments on my earlier vlogs that the sound was too soft. And yet it sounded pretty loud on my computer. So how do you strike a balance? In life we need to know when to turn up the audio, that is, our voice, or lower it. And through feedback and experience we learn how to control our volume. But we can't always get it right and in my view that's okay. I hope the adjustments to the audio on my vlog has made it better for those who thought it was too soft. But I learned the most from the transitions. I had to review footage many times, add footage, delete footage so that the transition to a new clip was smooth and easy on the eyes. Not all transitions occurred nicely blended but there wasn't much I could do with that. Life too is often like that. 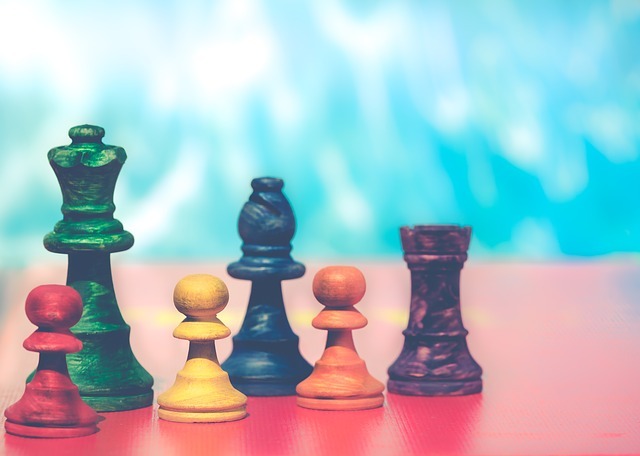 At times, change is smooth and easy and at other times a bit choppy, The choppy parts need to be adjusted so that eventually the transition to a new phase or situation is smoother and sometimes one just has to accept and ride the choppy seas. Hope you enjoyed today's vlog. Whenever I'm in my garden, life just seems good. 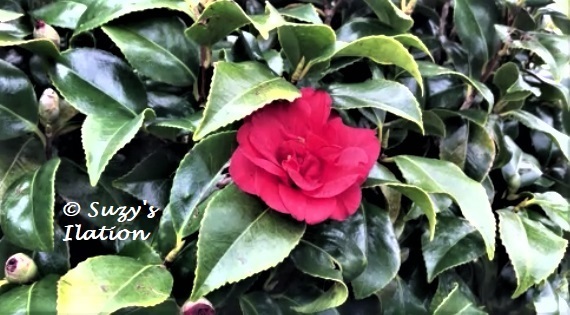 And camellias are one of my favourite flowers. What life lessons have you learned from experimenting with things? Share with us in the comments. Life today, in general terms, just seems hectic, stressful, achievement focussed (and I mean big achievements). 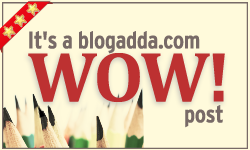 Everyone seems to want to reach great heights, make a name for themselves, earn the big bucks. Nothing wrong with that, but it makes life a little complicated and quite rest-less. So how does one relax, refresh and renew? Because without resetting at points in time, in my view, we'll just break. Everyone has their own reset button. So there is no one size fits all. This post is not advice on what your reset button should look like, but it's about my reset button. Music, Arts, Crafts, Writing, Walking, Meditation are some of my big reset buttons. So today on the vlog I share with you a card I made for someone's big O birthday. Making cards is so much fun. It takes the focus off any persistent issues, and it brings out my creative side. I love paper! So card making is just the perfect thing to do. It also adds a personal touch to the greeting and time invested in it is a way of showing your affection and love for that person. So grab a cuppa and join me on a fun card making Sunday afternoon. I hope you enjoyed today's vlog. These are the moments when I am truly loving life. What are your reset buttons? 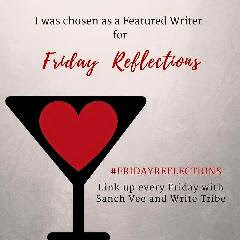 Share in the comments below or write a post and join in at #FridayReflections. Refresh and renew yourself, your body, your mind, your spirit. #FridayReflections hosted by Everyday Gyaan and Kohl Eyed Me prompt Write about something that makes you feel refreshed and renewed. Having done a few vlogs with just music, I thought I should now venture into the voice-over space. Was it scary? Yes of course, but I thought if I really want to get serious about vlogging, then I had better start chatting. So here it is, my tentative little baby step into a voiceover. Today's vlog is a quick view of a city I love ... Wellington, which is the capital of New Zealand. It is a beautiful city and has spectacular scenery wherever you go. So it's no wonder that The Lonely Planet described it as the "coolest little capital in the world" and 4th best city in the world to visit. And for all you coffee drinkers, it is a coffee paradise. In 2014 CNN named it among the world’s top 8 coffee destinations. So grab a cuppa and join me for a glimpse of Wellington. Trying to film from a car is not an easy thing to do and perhaps the focus was a little bit off. But nevertheless, I hope you enjoyed this video. What's your favourite city? Share some information about it in the comments below, or make a post or vlog and post the link in the comments. I've been trying out the video capabilities on my iphone so today's vlog is about iPhone video experimenting. The settings I experimented with were the time lapse and slow motion. And the birds in my garden obliged. So grab a cuppa and watch the stars of my vlog today. I decided to load my video on youtube though still in unlisted mode which allows views if you have the url. A little scary but I thought that a little daring is required. In fact sometimes I think opening up yourself to the world is probably one of he most daring things you can do. I hope you enjoyed today's vlog. And if you want to know more about it, post your questions in the comments and I'll try to answer them in my next post. And as a side note, I hope you've checked your blogs for EU compliance. Vlog02: Today's vlog is about the making of the pick a stick ATC (artist trading card) challenge for May 2018. The challenge is hosted monthly by Shel C and Peg Robinson. See youtube for details. Mix - I mixed orange and white to create a coral colour for the lupins and then mixed in a bit of red. But I should've used a better quality watercolour paper! There were some comments from my last vlog on how I made the video and uploaded it so here are some quick notes on that. Maybe in the future I will make a video on how I create my vlogs but I hope for now these short notes will do. I enjoyed painting and making this video and I hope you enjoyed it too. Join me again next week for another #vlog and #chaiwithsuzy. I've been wanting to do a vlog for a long time and also something different on my blog. 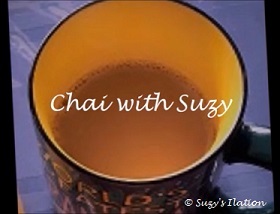 So I thought I would start a new vlog series called "Chai with Suzy"
I'm not sure if this is going to be a niche vlog like arts and crafts but I'll just go with the flow and see how this evolves. I intend to post a vlog a week but haven't decided on a day yet. Or perhaps I'll coincide the vlog with some other linkups. Don't know, I'll see how I go and what kind of response I get. Tomorrow is Mother's Day, and is perfect to showcase my first vlog, "Getting ready for Mother's Day". If you follow me on Instagram Suzy.Ila then you will have seen this already. But I have added some additional bits and pieces. So grab a cup of chai or coffee and join me on my vlog. I love making cards and I enjoyed making this one. The editing may not be so good as I am just learning. The idea is not to be perfect but to showcase the fun I had. Would love to hear what you thought and if this looks like a good idea. Also let me know what you would be interested in seeing besides my arts and crafts. And if you vlog, please link up your vlog post so I can drop by and enjoy yours. Happy Mother's Day. I hope you have an awesome day.